The quartet pictured above own and operate their businesses. Some may consider them black businesses. Some may not. But they all operate in a commerce climate in South Florida that has been partially shaped by an economic boycott 24 years ago. In 1990, South Florida’s tourism industry was boycotted by blacks for three years. It led to new opportunities to participate in the region’s economy. What are the lasting effects and what is the outlook? These four business owners operate in different industries from construction, retail, technology and marketing. 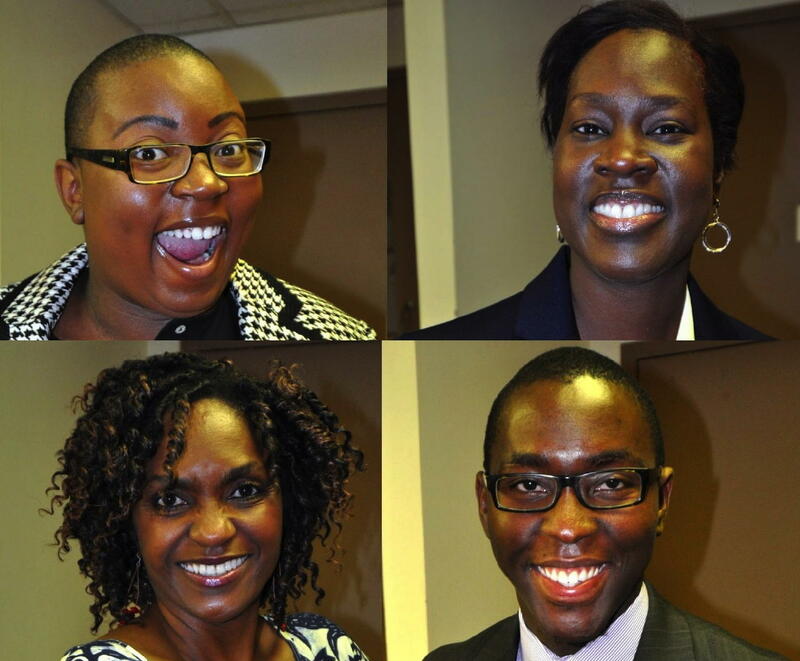 What does it mean to be a black business owner in South Florida today? And does the label even matter? Roundtable discussion about doing business while black in South Florida among CEOs, Suzan McDowell, Adrian Foster, Kevin Michael and Felecia Hatcher. The Sunshine Economy's The Color of Money: Doing Business While Black in South Florida episode hears from boycott organizer H.T. Smith and Don Peebles, the real estate developer who built the hotel that resulted from the boycott, The Royal Palm. Smith contends despite the much-touted diversity of South Florida, the economy is shared but separated along racial and ethnic lines. Peebles, meanwhile, is undertaking a new real-estate development project locally -- this one in the historically black neighborhood of Overtown in Miami. Brian Brackeen founded the facial recognition software company Kairos in Miami. He's among the next generation of business leaders finding a fertile environment to grow his technology business globally from South Florida. What's changed from the days of the economic boycott, and what hasn't? Tell us below for our live chat during the show curated by producer Elaine Chen.